National Smile Month runs from 16 May – 16 June 2016 and the aim is to promote good oral health. National Smile Month is organised by the Oral Health Foundation, and the campaign aims to raise awareness of important health issues. This year marks the campaign’s 40th birthday and it is hoped that the campaign will continue to raise awareness of important oral heath issues and encourage people to look after their dentition. • Brush your teeth last thing at night and on at least one other occasion with a fluoride toothpaste. By following these key messages this should help to prevent dental issues that can occur if this advice is not followed. Poor oral health has been linked to a number of problems and hopefully by adhering to these 3 key messages, this will help to prevent or reduce poor oral health. Whilst the aim of the campaign is about raising awareness of oral health, the aim of the campaign is also to have fun, whilst promoting oral health. As such, the campaign encourages people to get involved in many different ways and to have fun. The British Dental Health Foundation website has plenty of information on their site and you can register to have a National Smile Month Registration Pack posted to you. You can also donate to support the cause via their JustGiving page. People can also share a ‘smiling selfie’ and tweet the same, using the #SmileMonth or #NSM16. For those concerned about their oral health there is an Oral Health Foundation Dental Helpline. The Helpline provides free, impartial and expert advice on a range of oral health problems. 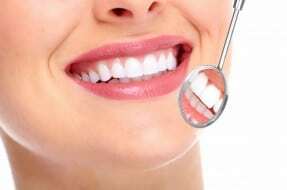 However, people should also ensure that they are proactive in managing their own dental health as well as seeking regular professional advice. For those who are concerned that they may have received substandard dental care. Please feel free to contact the Dental Negligence Team, who will be happy to assist. The Dental Negligence Team has plenty of experience in dealing with many different types of dental problems and to find out more about our work, please visit our website.